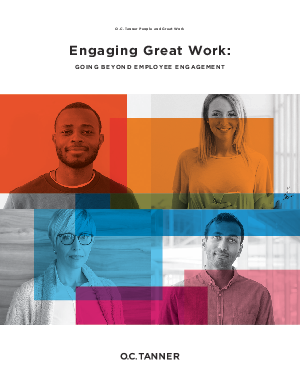 Do you want all of your employees to expand their influence, go beyond what is expected, and purposefully create improvements for your business? To simplify this question, do you want your employees to perform great work? The fact of the matter is that anyone can be a difference maker in your organization. There is great work that only you can do. There is great work only the person sitting right next to you can do. That is both the beauty and crux of great work. It is something that everybody is capable of, but something that could go wasted if an individual fails to take action and perform great work. From the janitor to the CEO, each individual sees the business from their unique perspective and has the potential to make a difference, be innovative, and ultimately create value for your organization.